The concept of underwear as outwear is nothing new perhaps due to legendaries like Coco Chanel for her silk lounging pyjamas, and Madonna for her cone-shaped bras and girdles worn on clothing. As it turns out, it's not strictly a feminine thing. I'd always wondered why some guys would let their boxers and briefs show above low-slung pants. However, the lingerie trend this year has been crazy with slip dresses, flimsy camisoles, and even silk robes. Some online stores even commented on how fast slips were selling. Yes, "shimi" to to Nigerians. I'm surprisingly all for this trend but its best to remain occasion-appropriate. Also, baby steps. 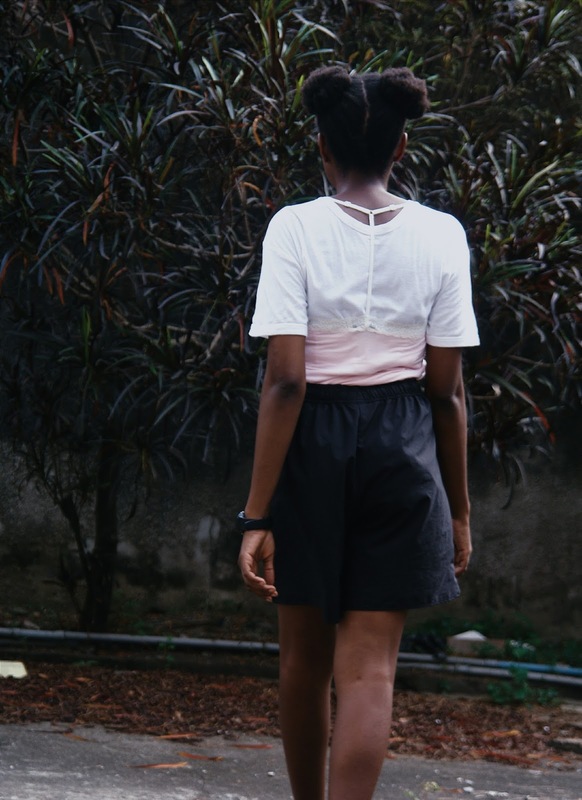 I like to take small steps first, hence the camisole. First, a little review. The good people at Brief Essentials sent me a camisole and I quite like it. The packaging was really nice and thoughtful but I couldn't get any pictures due to some unforeseen circumstances. It's a really soft pink with lace at the sides and has a very soft feel to it. It also has a t-back which I absolutely love!! I mostly tie it at the front because it's a tad too long for my taste and I don't want to cut it just yet. Without further ado, let's get into it. This is more of a lounging look. 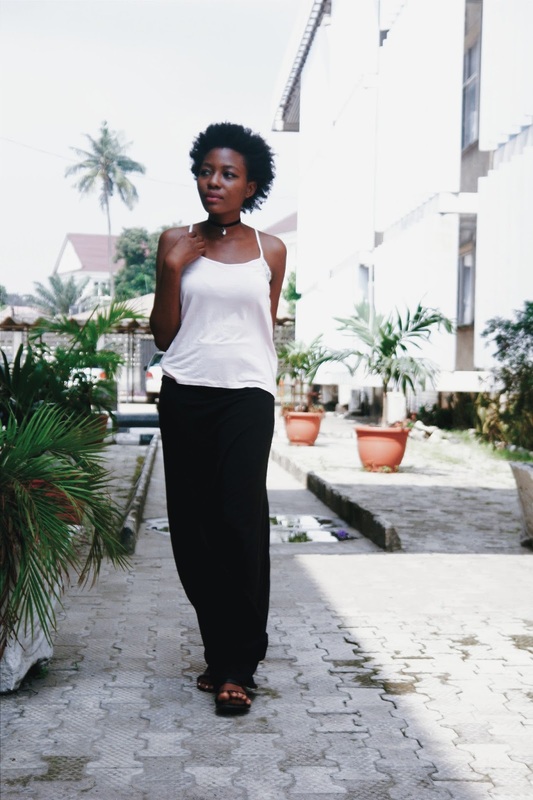 Pair your camisole with a maxi skirt or Palazzo pants (anything with a silhouette similar to the skirt above really) with your most comfy slippers for a relaxed bohemian look. Adding accessories like the wristwatch and choker above would dress the look up a bit if you feel too laid-back. For this second look, think "kid-inspired". The accessories actually make the outfit in this case. 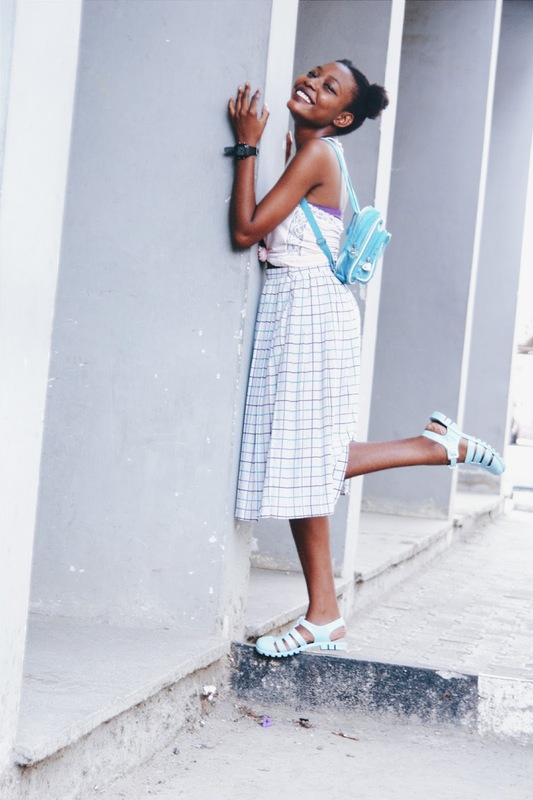 A combination of the teeny-weeny backpack, the jellies and the min-buns gives this outfit childish vibes. The midi skirt above could be easily replaced with shorts or mum jeans. I can already envision the awesomeness. Would clear glasses be an overkill? And here we have the typical cami over a tee pair. I quite like this one. The "athleisure" here is a pair of running shorts ( I don't run by the way) and the sporty watch. I apologize for no pictures of the full outfit but sadly, those pictures didn't turn out well so I have to work with what I had. I wore my chunky heels that I styled here, not sneakers. 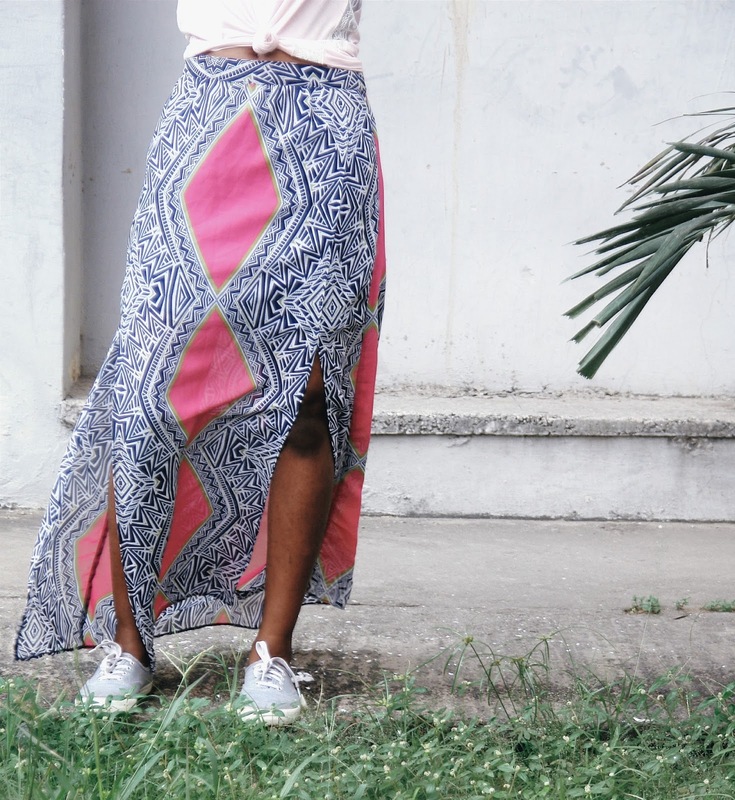 Pair your camisole with a maxi skirt and sneakers. For that funky look, tie it into a knot at the front and rock big hair for extra points. I know my hair will become big. I have faith. 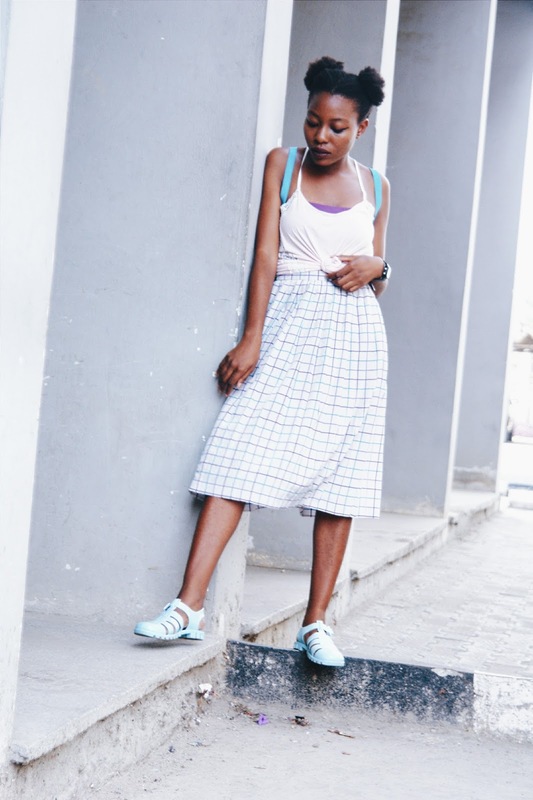 I had long struggled with pairing sneakers and brogues with my maxi skirts. For some strange reason, it always looked weird to me. I think the only reason I pulled this one off was because of the slits. 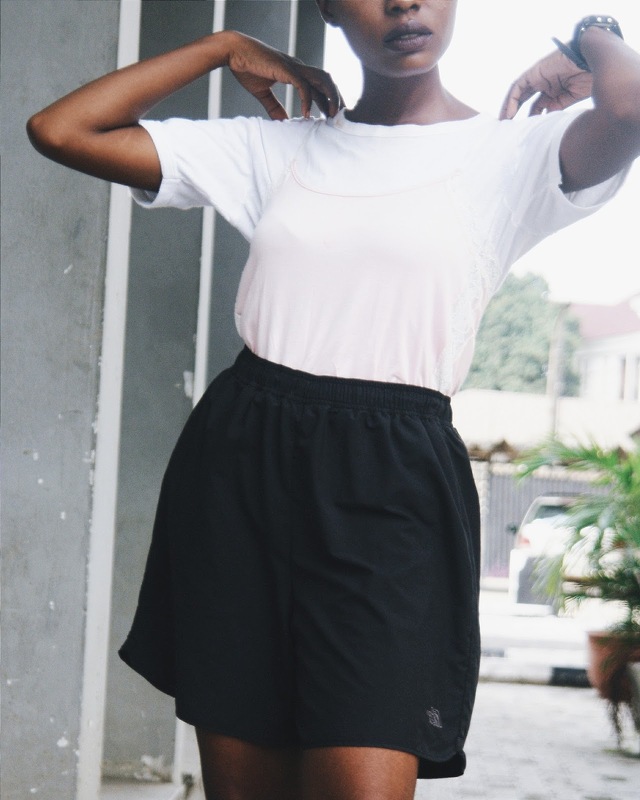 You can get the camisole here, it also comes in black. -Glasses: random seller at yaba. The camisole is definitely the effortless kid sister of the more daring slip dress and, I think, far easier to pull off. Especially when you live in Nigeria. Am I right peeps? 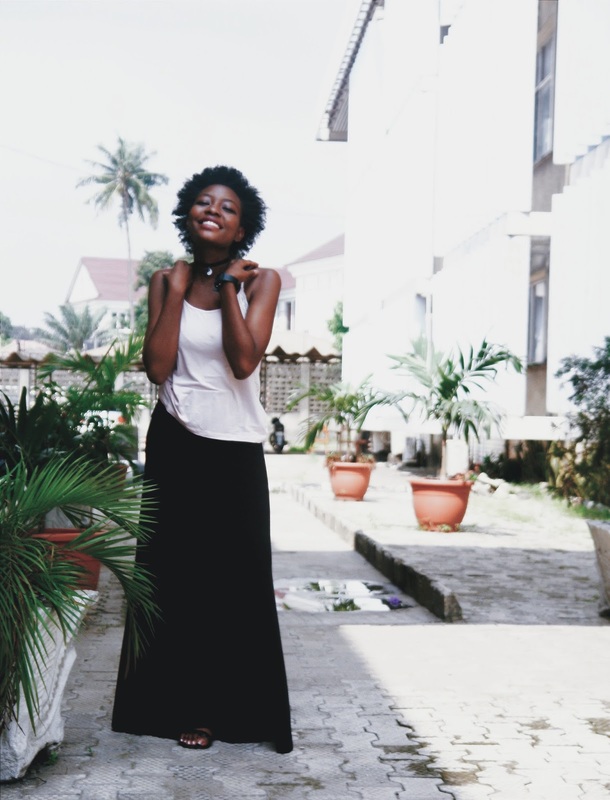 How do you style your camisole? What do you think of the "underwear as outerwear" trend? Please leave a comment, I'd love to know your thoughts! PS. Don't forget to Subscribe here to get post updates. Follow me on Instagram and Facebook, let's connect! Only you all this slay??? I don't think i'd be wearing a slip dress anytime soon, it's not my thing, the silk camisole though I'd rock that. I like all the looks and that camisole is a keeper. Lol! It definitely is! The slip dress is a bit too sensual for my tastes but we'll see. Thanks Bolu! Glad you're inspired! LOOOOL @ The adorable cutie pie. That's the only name for that to be honest. You pulled the looks off. But I'm too boring to try most of these. Look one and three are my favorite. 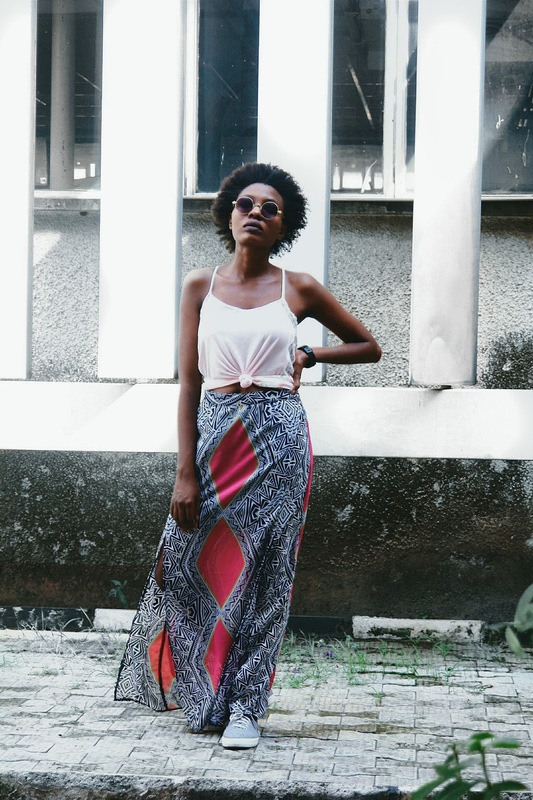 There's something so effortless about the pairing with the maxi Skirt and I love the idea of layering a Cami over a white T-shirt. Look one and three are actually my favourite too! Yes! You never know. Most of the things I wear now, I never saw myself wearing in the past. The Casual Weekender look is my favourite. When I saw the first picture under Adorable cutiepie, I literally went 'Aww'. Really Adorable and all the names are creative and actually suit the look. You pulled off all the looks. The cutie pie is my fave. 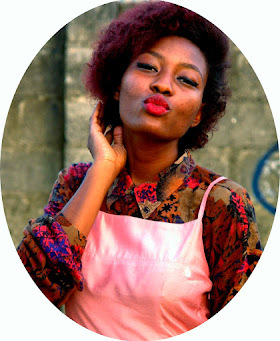 P.s- love the changes you made to the blog. So clean. I'm going to be disturbing you for blog tutorials. Love all the looks but my favorite is the Bohemian one! It's just so laid back yet well put together. Lovely styling. I love the casual weekender look. Right?!! I really like the bohemian look too. Would love to try out the third outfit. Just en vision many ways to rock it when I do.